It can be difficult finding the best dating site, and you don't want to invest a lot of time or money only to find that it's not the right one for you. There are plenty of free dating sites that offer a free membership for you to try them out, then a premium membership to unlock additional features. Some of these sites are limited, so that's why you want to find the best free dating sites that have plenty of features even if you don't have a budget to pay for a membership. OKCupid is one of the best free dating sites around. You'll be interested in learning more about this great site. 1. American headquarters. This site isn't based out of some city or country you've never heard of, it's actually located in the USA. It does offer international dating all over the world. It's now owned by IAC's Match.com. The site started out with many different names, evolving into SparkMatch, before they finally named it OKCupid. That's when it really took off in popularity. They also have other sites, including Crazy Blind Date. 2. Fully featured. The site offers member-created quizzes and multiple-choice questions that you can send to other members to fill out. There are also different modes of communication. You can sent out instant chat messages to other singles, or private message emails. There used to be a journal and blog feature but that has been retired. You also have the option of favoriting profiles. 3. One of the top 10 dating websites today. OKCupid has been listed as Time Magazines top 10 dating websites in 2007. There may be more competition nowadays, but the dating site name of "OKCupid" is still one of the most recognized today. To join the site, you must be an adult. You can read the best dating sites reviews at BestDatingSite.biz for more details. 4. A different focus. The site was launched with the unique quiz interface, and that continues on today. They have played up this advantage with other quiz-oriented sites such as Hello Quizzy. Most of the other dating sites don't have a comparable quiz feature that you can actually create yourself. 5. Millions of active users. There are currently over 3.5 million users on the site today, with about half of them being unique to the past year. 6. Ratings system. Another unique feature on OKCupid is the ratings system. You can rate other users. For the ones who have the highest ratings, they'll be placed into the top half of the most attractive users on the site. This means that they'll also see the most attractive people in their search results. 7. Automated match generation. There is also a function that will automatically generate matches for you. The sites analyzes data for all the profiles, as well as your user activities and your answers to the quizzes. 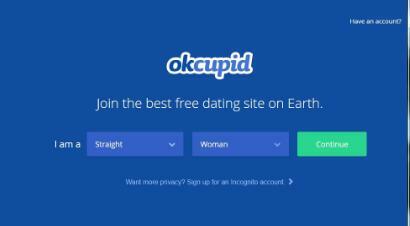 If you've been searching for great free dating sites, OKCupid may be the right one for you. They have some great features for singles, making it one of the best datings sites available today. 06/13/2016 by Admin How to Find Your Best Match?